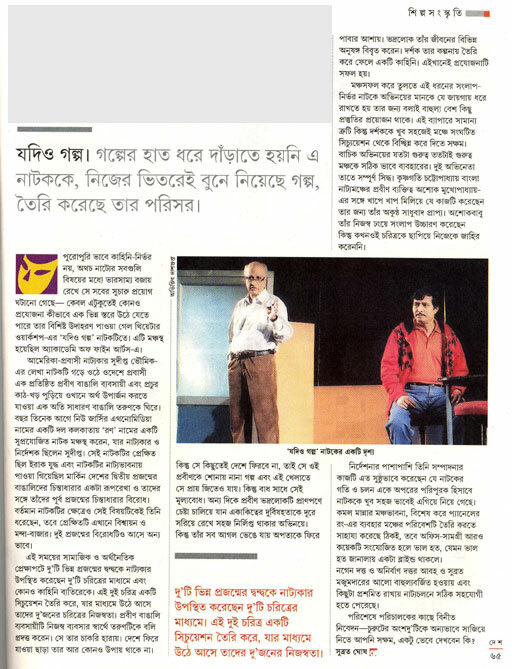 Subrata Ghosh, an emiment theater critic from Kolkata, recently reviewed Theater Workshop’s production “Jadiyo Galpo” in Desh patrika. The play is directed by Ashok Mukhopadhyay. “Jadiyo Galpo” is the play that we had staged last year as “Satyameva”. Check out this review and tell your friends and family in Kolkata to watch this play at their latest opportunity.